What's this? A new Marc Jacobs Daisy scent? Yes, yes it is and I for one couldn't be more excited. As a fan of Marc Jacobs previous Daisy scents, I was very pleased to hear another fragrance named Daisy Dream (how cute is that name?) is being added to the line up. Seven years since Marc Jacobs released his original Daisy scent and the line ofsweet scents have become iconic in the beauty industry with each release creating more buzz than the last. 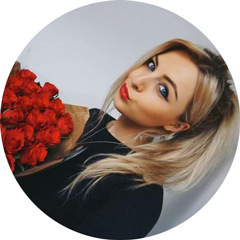 I don't think Daisy Dream is going to be an exception to that rule either as it already seems lots of people are excited about this new offering! Now although I love the design of every single Marc Jacobs bottle, this one has to be the best. From the baby blue liquid to the array of Daisies covering the spherical bottle and mirrored lid, it truly is a thing of beauty. Since receiving it a few weeks ago, its taken pride of place on my dressing table as its just too damn pretty to hide away. As well as its stunning exterior, I'm very taken by the scent too. Described as a more 'sophisticated and ethereal version of the original,' it contains notes of pear, blackberries, blue wisteria, jasmine and coconut water. Its very light and wearable for both day and night and I've been spritzing it at every opportunity since it landed at my door. Its definitely a great Summer scent and I wore it every day on my recent trip to Portugal! My boyfirends mum is a huge fan too - she had a sniff while we were away and fell in love with it - she's already said its going to be her next perfume purchase! 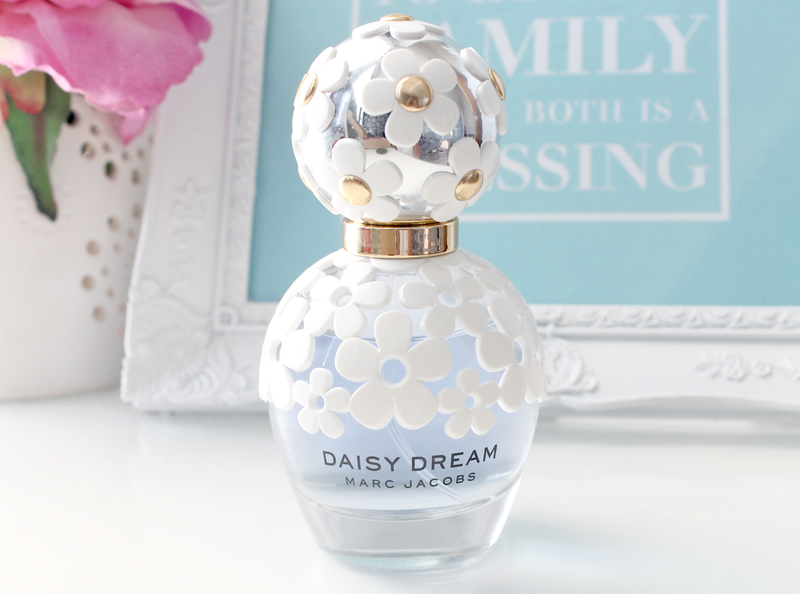 If you like the look of Marc Jacob's Daisy Dream, you can get your mitts on it from World Duty Free now. Definitely one to snap up before you jet off on your Summer holiday! If you're not passing through duty free anytime soon, its released nationwide on the 15th July. It will be available in size variations of 30, 50 and 100ml. Are you a fan of the Marc Jacobs Daisy family? Will you be adding this new addition to your perfume collection? Loved the original and already can't wait to check this out. Hope I like the scent because that bottle is beautiful! It's so gorgeous! Marc Jacobs never fails when it comes to packaging and I'm sure the scent won't disappoint either! I need this purely for the bottle - it's beautiful! This bottle is seriously beautiful! The original is one of my favourites so I know I'm going to love this! I love Marc Jacobs perfumes, defiantly my favorites, cannot wait to see what it smells like! I love the smell of Daisy, it's so delicate and floral - I can't believe they've added another gorgeous member to the Marc Jacobs family! The bottle itself is simply perfect! That bottle is beautiful! Can't wait to pop into the store and look at it myself! I haven't been completely convinced by the other Marc Jacobs fragrances yet but this one actually sounds so nice. I'll definitely be testing it out. The bottle is just adorable. Most gorgeous perfume bottle ever!! That sounds amazing and the bottle is to die for. I really like the sound of the scent and must see how I can get my hands on it. Lovely review by the way. Every blog post I see about this fragrance get me more excited for the launch! This looks lovely! I love the name and the bottle is stunning! Can't wait to give it a sniff in store! I can't wait for this one to be more widely available so that I can add it to my MJ collection! I love MJs fragrances and this packaging is stunning. Lovely review. Great post and gorgeous photos as always! The packaging of this is flawless, would LOVE to own one! How cute!!! I need it in my life! Besides the fact that pretty much every MJ scent is divine, the bottle of this perfume is lush! I’m sold! My birthday is coming up, and I'm sure this will be featuring on my wishlist! I don't usual like Daisy scents but I actually really like this one. I like such a beautiful bottle as well as fragrance smell of Daisy.